This page (2 of 5) contains some more ideas and suggestions for activities and things to do in and around Hat Yai. Comments: Golf is becoming increasingly popular in Asia; even though often this is for reasons of status rather than simply for the enjoyment of playing the game. Upwardly mobile Thais like to play, and quite a few Malaysians and Singaporeans also schedule a round of golf into their Hat Yai trip. Larger hotels and travel agents will be able to make arrangements if you don't want to do it yourself. Comments: The vast majority of Thais have no interest at all in museums or history and consequently nearly all of the museums I have visited in Thailand have been completely deserted - including this one. Hat Yai is one of the biggest provincial towns in Thailand and it has grown up from virtually nothing in a relatively short period of time. After I went to live there I wanted to know more about the town's recent history. However, finding information wasn't easy. The locals didn't know anything and couldn't give me any information. To local Thais, Gim Yong is nothing but a market. Most have no idea that originally there was a person of this name who was involved with founding Hat Yai. I started looking for a local museum, but couldn't find one. At one point it was rumoured that the former TOT building next to the clock tower would be turned into a local museum, but this never materialised. The building is now a public library. I found out about this museum by accident. My neighbour used to be a lecturer at Hat Yai University and asked me to proofread a document she had written in English. The document was about the university and mentioned the museum. After I knew about it I went to visit. Of course, the museum was devoid of visitors and it seemed that hardly anyone ever visited. The curator was so surprised (and excited) when someone actually turned up to visit that she spent a couple of hours giving me a personal tour. It is located inside Hat Yai Museum and is also referred to as the 'Praneetsilp Art and Culture Center'. It is laid out in chronological order and the first section is devoted to prehistoric artefacts - clay pots and early tools, etc. I am more interested in Hat Yai's recent history. There is quite a large kris collection, and a section devoted to the town's flood problems. There are also some artefacts from Hat Yai's recent history, such as a ticket from the now defunct Hat Yai to Songkhla train line. Hat Yai has extremely strong Chinese influences, and therefore it's probably not surprising that the town was founded by a Chinese. His name was Niphatchinnakhon, also known as Jia Gi Si. This explains why so many major roads in Hat Yai start with Niphat. A statue of Khun Niphatchinnakhon can be found at the front of the Jiranakorn sports stadium on Niphat Songkhro 1 Road. Khun Gim Yong's statue can be found on Thamanoonvithi Road opposite Saengthong School. Unfortunately, a lot of information inside the museum is only in Thai, however, the curator told me that there was an ongoing project in action to translate more into English. There is no admission charge. Unfortunately, I forgot to ask about opening times but I will return again to get that information. This university is known locally as 'Mor Hat Yai'. Comments: Hat Yai Municipal Park (Map 2) is a very pleasant green space near to town. There are some nicely laid out gardens and an artificial lake where you can hire a pedalo. Fishing is banned in the lake and consequently it is teeming with fish; there are some very large catfish. Vendors sell fish food for Bt10 a bag and feeding the fish is a popular way for Buddhist Thais to make merit. When I first visited in 2003 there was a small aviary near the entrance to the park containing some exotic looking birds, including some fearsome looking Australian cassowaries. Unfortunately the aviary disappeared some time in 2007 and the birds were relocated. At the back of the park is a large walk-in aviary, similar to Jurong bird park in Singapore. Unfortunately, it has been closed all the time I have lived in Hat Yai. This is a real shame because it would be a fabulous attraction. If you don't have your own transport, getting to the park is easy and cheap. Just hail a white sawng-thaew on Phetkasem Road going towards Songkhla. There are hundreds each day and the fare is Bt10. At the end of Phetkasem they turn left on Karnchanawanich Road towards Songkhla. Don't get one that turns right towards Mor Or, Lotus and the bus station. The park is located just after the golf course on the right hand side of the road. To make sure you don't go past, tell the driver suan saa-taa-ra-na. The park is the entry point for Kuan Im temple, the cable car, the Ice Dome, and the King Rama V memorial. There is also a pavilion (saa-laa) where art and photography exhibitions are held occasionally. Comments: If you are looking for a brothel in Penang just follow the 'Health Club' signs. Asians like to use attractive euphemisms for such establishments - and I guess that is the case everywhere. When I first noticed the Hat Yai Sports Club (Map 2) on Phetkasem Road I thought it was like a 'Health Club' in Penang. However, that isn't the case. After a closer inspection and some questioning I realised it was all perfectly genuine. 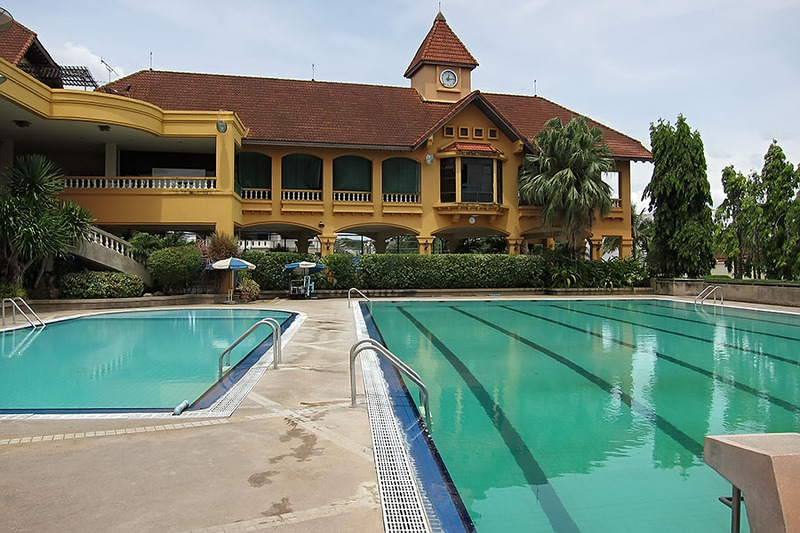 Unlike Penang 'Health Clubs', which contain nothing but young girls from mainland China, the Hat Yai Sports Club has quite a few sporting facilities. There is an outdoor swimming pool, a kids' pool, tennis courts, basketball courts, a gym with proper weight training equipment, and snooker tables. Different kinds of membership charges are available for 1, 3, 6 or 12 months or you can just pay for each session without becoming a member. As one reader pointed out, a lot of the facilities have now gone. The swimming pool is still open and the charge is Bt60 per session. It's clean and if you go during school hours it is normally empty. The tennis courts are also still open. October 2012 Important Update: I reported above that many of the facilities that used to be in existence had disappeared. It makes me feel extremely sad to report that the swimming pools have now gone as well. 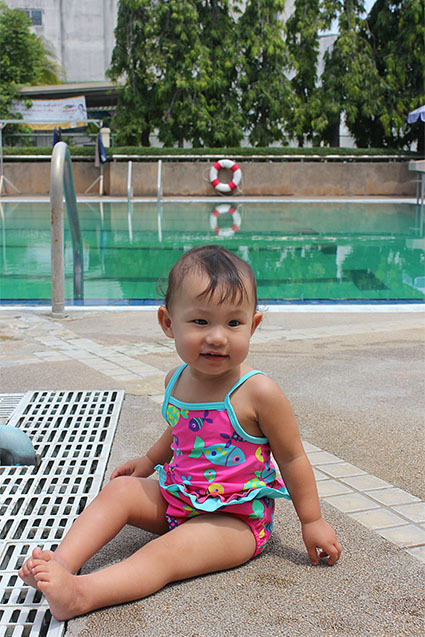 I used to take my daughter for a swim at Hat Yai Sports Club regularly. The last photo I took before the pools were demolished was on 1st June 2012. I went today on Saturday 6th October 2012 only to find that the swimming pools and garden area have been turned into a building site. The swimming pools have been filled with earth and will soon be replaced by a new Nissan showroom. Hat Yai just gets busier and busier every year and every vacant piece of land is being built on. Everything is done solely to maximise profits and the current craze for building high-rise condos is because more homes can be built in a smaller area. This, unfortunately, is how Thais think. In the Thai value system nothing is ever more important than money and material possessions, especially cars. It is ironic that one of the few leisure facilities in Hat Yai has been closed to make way for yet another car showroom. Aren't there enough car showrooms already? Bangkok has capacity for two million cars, yet there are five million. This is why Bangkok's roads are always gridlocked and why pollution in the capital is so bad. Hat Yai, although on a much smaller scale, is going the same way. Thais are obsessed with social status and the ultimate status symbol in Thailand is a car. Everyone wants a car and the situation will just get worse. So what is the government doing to help the environment? Nothing. Quite the opposite, in fact. Thai politicians are only interested in holding on to power and they create populist policies in order to do so. Young kids have been given computer tablets to play with at school, graduates and daily-paid workers have been promised higher salaries, and first time car buyers have been given a big government discount. As a result, car sales are on the increase. When every last piece of land has been built on and the people of Thailand are choking on the exhaust fumes of yet more and more traffic, maybe they will start to see the foolishness of their shortsighted lust for money and cars. 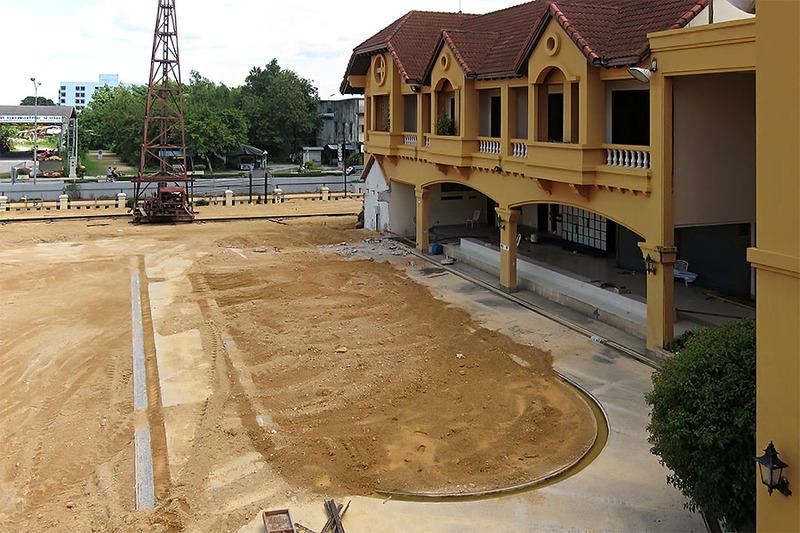 All that appears to be left of Hat Yai Sports Club now are the tennis courts at the back of the building. The pleasant grass area at the front and swimming pools no longer exist; and not a lot seems to be going inside the building. I feel pretty angry about this, but the owner is entitled to do whatever he wants with his land. One of the problems in Thailand is that too much land is owned privately and the land is only used to maximise profits. More land should be publicly owned and this land should be used to improve the quality of life for local residents by having suitable green spaces and other areas to relax. Hat Yai Municipal Park is pleasant but it's a long way out of town. Apart from a few temples, there are no quiet, peaceful areas for people to relax in the town itself. Quiet, peaceful areas aren't profitable, are they? Of course, Thais don't pay any form of rates or council tax to the local municipality and so there is less money to spend on public amenities. UK residents don't particularly like paying council tax, and neither would Thais. It's therefore difficult to know what to do. All I do know - after first visiting Thailand in 1987 and having lived there for many years - is that many attractive places all over the country have been completely ruined as a result of greed and that this continues to be the case. June 2018 Update: I live close to the water park and pass it every day. Recently a sign appeared explaining that the park was closed temporarily while refurbishments take place. There is no estimated reopening date, neither is there any sign of any work taking place inside. To be honest, the closure looks to be permanent. Before it closed the car park was almost always empty, apart from when a busload of school children arrived from the troubled provinces of Yala, Pattani and Narathiwat. The park employed quite a few staff and the monthly electricity and water bills must have been very high. The owner rents the land and this must also be quite expensive. When the park first opened everyone wanted to take a look and there were crowds of people, but it seems that few of the early visitors have returned. Parents had to pay to enter the park even if they only wanted to take care of their children and not play themselves. This made visiting the park a very expensive activity for local families, many of whose monthly income is very low. Based on the high running costs and the low number of visitors, I'm not sure how the park could operate at a profit. In addition, shortly after this water park opened, another water park opened in Hat Yai. 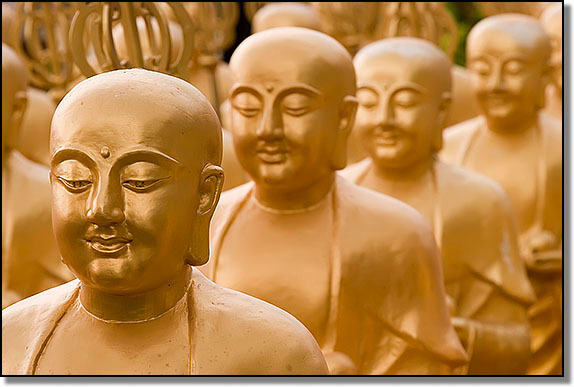 Hat Yai is a tourist destination, but it is very different to other tourist destinations in Thailand. In places such as Hua Hin and Phuket, etc, Western tourists enjoy beaches and water parks. Therefore, a water park in one of these places can guarantee a lot of income from Western tourists. Almost 100% of tourists visiting Hat Yai are from Malaysian and Singapore. They come primarily for cheap massages, eating and shopping. Some might go to the municipal park or Songkhla or to a temple to make merit, however, I doubt that visiting a water park is high on their lists. When/if the park reopens I will add another update here. However, until such time you can assume that it is closed. Comments: In recent years there has been a trend in Thailand for water parks and it was inevitable that one would open in Hat Yai sooner or later. I am told that another is currently being built. The location of this one is on the airport road. It was announced early in 2016 with a highly optimistic opening date of April 2016 (the Songkran water festival in Thailand). That date was missed (as I knew it would be) and the new opening date was given as 15th May. That date was also missed, as I knew it would be. Finally, it was announced that the park would open on 15th July 2016 with a Grand Opening on 22nd July. From Monday to Friday the park is open from 09:00 to 20:00 and on Saturday and Sunday it is open from 09:00 to 21:00. The slides are inflatable rubber constructions, the same as children's bouncy castles. There is a lot of artificial grass, but real palm trees have been planted and as these mature the park should start to look better. Car parking is available. As you would expect, there are changing facilities with lockers, a snack bar, restaurant and also a shop selling swimsuits. From a safety point of view it looks quite good. There are quite a few lifeguards in attendance and there are also lots of lifejackets available if you feel safer wearing one. They have all sizes, suitable for very young children up to adults. There are four areas set aside for young children where adults are not allowed to play. Height restrictions apply and people must be taller than 141cm to play in certain areas. Water safety should also be fine as there are a lot of filtration tanks where the water is circulated and cleaned. Pricing depends on height, age and (sadly) nationality. The practice of dual pricing (one price for Thais and another for foreigners) is extremely common in Thailand. Anyone over 141cm tall is classified as an adult. The adult price for Thais is Bt300 and for foreigners it is Bt400. Children no taller than 90cm: Thais Bt100, Foreigners Bt150. If you have a family and plan on visiting the park often, there are various membership schemes that you can take advantage of. For example, a membership card costing Bt1,999 (Bt2,999 for foreigners) allows unlimited visits for a year for three people. The people must be named and it must be the same people each time. A card costing Bt999 (Bt1,499 for foreigners) will give three named people a 30% discount for a year and a VIP card, Bt299 for Thais (Bt599 for foreigners) will give one person a 10% discount each visit. If you don't have your own transport, getting to the park isn't a problem and it isn't necessary to charter an expensive tuk-tuk. Lots of sawngthaews go out to the airport and they all pass the water park. The fare is just Bt15 per person. If you arrive in Hat Yai by plane you will see the park on the right-hand side of the airport road as you drive from the airport into town. Comments: When Central Festival opened in December 2013 one of its new entertainment venues was an ice skating rink, something that had not been available in Hat Yai before. It is open every day from 10am until 10pm and there are various pricing options. Adult sessions are Bt180 per hour between Monday and Friday and Bt200 on Saturday and Sunday. The respective prices for children (no taller than 140cm) are Bt140 and Bt160. These prices include skate hire. Wednesday is what they refer to as 'Sub Zero Day' when there is a fixed price for everyone of just Bt90. If an hour isn't enough, a one-day pass is Bt400 from Monday to Friday, and Bt500 on Saturday and Sunday. In the evenings there is a special 'Night Buffet'. From Monday to Thursday skaters can skate from 6pm until the rink closes at 10pm for Bt200. On Saturday and Sunday this same deal costs Bt250. If you don't take your own socks, you can buy a pair of socks at the rink for Bt50. Socks cannot be hired. Lockers are available for a deposit of Bt250, which is refunded when you return the keycard. gao sairn is Thai for 900,000. This relates to a local legend that is explained on one of the pictures to the left. Click any small thumbnail image on this site to see a larger image. Kao Seng is a traditional Muslim fishing village near Songkhla. From Hat Yai you first need to get to Songkhla which is very easy. Once in Songkhla, go down to the beach road and take a sawng-thaew or tuk-tuk to Kao Seng which is a couple of kilometres south. Alternative, if you take a bus or minivan from Hat Yai to Songkhla you can get off where the mental hospital is located. At the traffic lights turn right and Kao Seng is about a five minute walk. I suspect that Kao Seng has not changed for many years which is quite refreshing in this fast-changing world. The fishermen go out in the mornings using boats with brightly coloured sails to get their catch. In the afternoons they descale the fish, maintain and paint their boats, and repair nets, etc. They go out again in the evening once darkness falls to catch squid. Walking through the village is a different world as the residents go about their daily tasks while chickens, ducks and cats wander around their huts. The Muslim people are very friendly. This is the other side of Islam that many Westerners have forgotten about or don't realise exists. Generally I don't like man-made tourist attractions, but I love naturally interesting places like Kao Seng. If you go there when the light is right it is a photographer's dream. Whenever I'm showing people around Hat Yai and Songkhla I normally make a point of stopping by Kao Seng. Muslims cannot touch dogs so Muslim villages are about the only places in Thailand where you don't see stray dogs wandering all over the place. Instead, you often see cats and goats. There is a small shop in Kao Seng where they keep about 20 Persian cats. The cats are gorgeous and if you love cats - as I do - you will love this place. Comments: On my first visit to Phattalung in 2004 I saw a sign on Route 4 for Khaochaison Hot Springs. Subsequently, on various trips along that road, I saw the same sign many more times. I kept saying to myself that I must visit, but I never did. On my return from Khanom district in Nakhon Sri Thammarat in June 2013 I saw another sign advertising a floating market in Khaochaison. I now had two reasons to visit and so I finally went in July 2013. This whole area is spectacularly pretty and the huge rock formation sticking out of the ground is the main focal point. The water that comes out of the ground is about 60° Celsius. A pool has been built in which people can bathe. The water in the pool is mixed with cold water to make it bearable. Everything is free, which quite surprised me. There is no charge for Thais, no dual pricing, and therefore no very high price for foreigners. This is quite unusual in Thailand, but highly commendable. There is a cave about 700 metres away that has a cool water pool inside. The depth of the water in the cave is about one metre. I didn't have a chance to visit the cave when I went, but this is something I would like to do next time. The name of the cave is tum pruh in Thai. There are some bungalows at the hot springs where you can stay overnight. The cost is just Bt500 per night and they are fully equipped in the same way as a hotel room with bedding, towels, A/C, and a TV. However, there is one big advantage over a hotel room. This area is also home to a colony of longtailed macaques, as can be found in other areas of Thailand. They are quite tame, but you need to be cautious because they can bite. At other places in Thailand where there are monkeys there are often vendors selling monkey food. However, you can't buy any food for the monkeys here and feeding them is actually discouraged. They do have food and it looks as if someone does take care of them. For directions from Hat Yai, see the information for Khaochaison Floating Market.